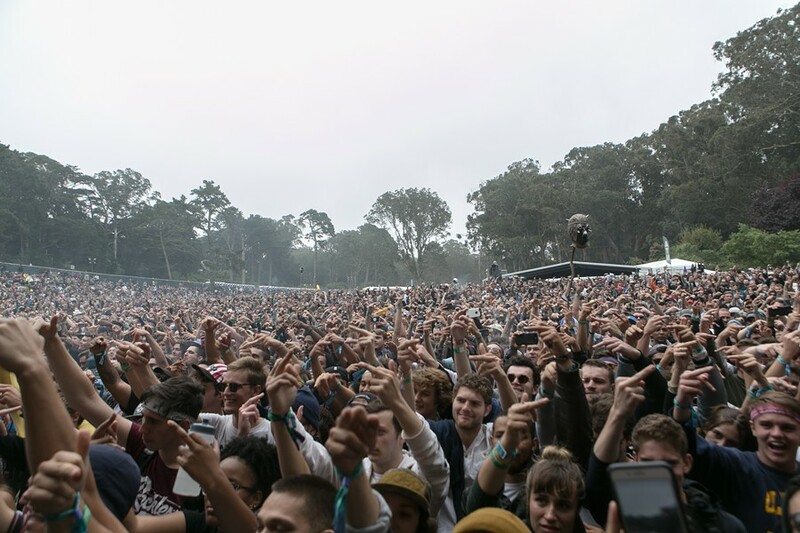 By many accounts, the last day of Outside Lands' 10th iteration at Golden Gate Park was the least crowded and the most misty of the three day festival. That left those of us attending room to roam around the expansive grounds of Golden Gate Park and catch some amazing live performances and warm and delicious treats at the festival. 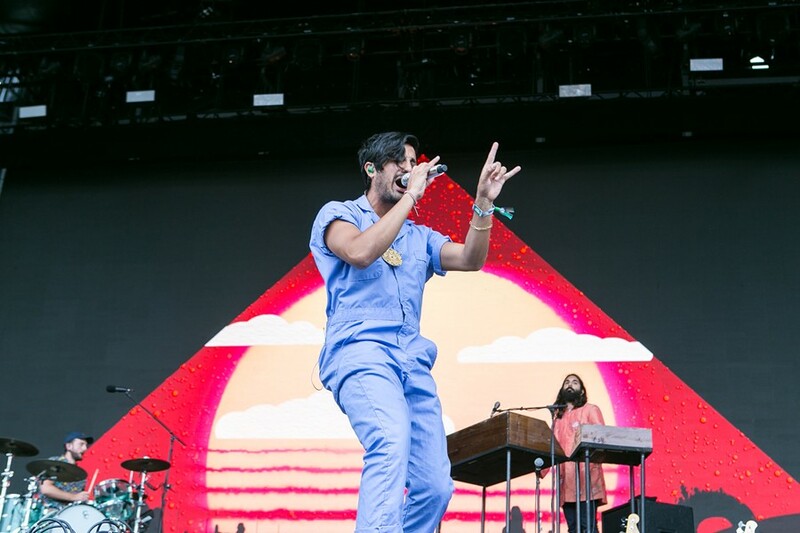 To close out the 10th anniversary celebrations were headliners Lorde and The Who alongside a stacked lineup that included ScHoolboy Q, Solange, Oakland's own Kamaiyah, and Young the Giant among others. Lorde took the stage in the afternoon just as the fog rolled in to stay for the evening. In a floor length black lace dress paired with white sneakers, the 20-year old New Zealander songstress moved with an unlabored joy through new songs off her latest album, Melodrama, and old hits like the once ubiquitous "Royals". Not too far removed from teenage years herself, her songs channel the specific anxieties and joys of youth and the crowd, made up of all ages, was captivated. On the other side of the park, ScHoolboy Q warned his audience that this was a rap show despite who came before him on the stage and who will follow him. Unprecedented, at least for this concert goer, was a "choose your own adventure" karaoke game he played with the crowd asking which artist they'd like to hear him cover. The choice was between his TDE brother, Kendrick Lamar, and ASAP (Rocky presumably). The crowd went with Kendrick but Q gave them a taste of both with the loudest reactions coming to his covers of Lamar's "Humble" and "m.A.A.d. City". Despite the normal machinations of Outside Lands, Sunday was an odd day to be present en masse at a festival. After minimally policed white supremacist rallies in Charlottesville, Virginia on Friday turned deadly on Saturday, there was an incongruence to wandering around "Wine Lands" and waiting for sets to start. And try as one might to distance what happened in Charlottesville, similar rallies have occurred in Berkeley and the nation's current administration gave lukewarm condemnations of these events. 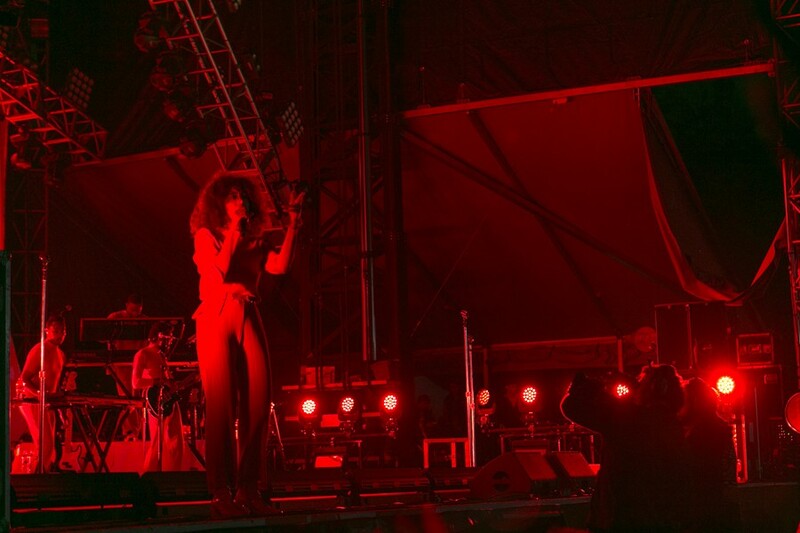 Solange closed out the night with one of the best sets of the festival. And though it's unfair to expect artists to soothe the political anxieties of living in America, Solange's latest album, A Seat at the Table, released in September of 2016, did just that. During her set at Outside Lands — which was synchronized to perfection in movement and aesthetic with her six piece band and two back-up singers — she addressed the crowd a couple times, alluding to a much needed temporary escape. "Stay up." she said later on, specifically addressing folks of color, Black, LGBTQ and Muslim folks. She went on to share that one way she eases her pain during these times is by dancing and so she went into "Losing You" from her EP True — one of the most danceable break-up records. Besides the remarks that she made, Solange's music directly speaks on the joys, the weariness, and the madness that being Black in America bring. Hearing her emphatically sing "You've got a right to be mad", against the backdrop of a vehement dismissal of fears about the recently rejuvenated racist, transphobic, and Islamophobic movements across America, was the only imaginable way to close out the night.